So, I found instructions on Pinterest for no-recipe biscuits, and felt inspired (thank you, Posie Harwood – http://food52.com/blog/10148-how-to-make-yogurt-biscuits-without-a-recipe). It involves dumping unmeasured amounts of flour, baking powder and glops of yogurt in a bowl and mixing them together, and then adding whatever else you like – I love that! It also had rolling and cutting biscuits, which seemed to be more work than I was interested in. So instead, I just dolloped the biscuits onto the baking pan to see how they’d go. They are certainly not picture-perfect-Martha-Stewart biscuits, but I’m not exactly a picture-perfect-Martha-Stewart chef, so it all works out okay in the end. In a big bowl… Start with as much flour as you would like biscuits. Take your baking powder and pour in a lil’ shake of it, and then take your salt and pepper shaker and give two shakes of salt. Mix up these ingredients and wiggle a little while you do. (You don’t actually have to wiggle, it just makes this more fun). Now, take a big thing of yogurt – I like vanilla, even for savory biscuits – and let a good sized glop or two fall in. Mix this stuff up and add some milk too, until it is thick and gloppy but not quite runny like pancake mix (if this happens, add more flour). See the above Food52 website for pictures of what the consistency should look like. -Cook up some bacon beforehand. You can use leftovers from brunch, or if you haven’t had brunch today, bake it in the oven. 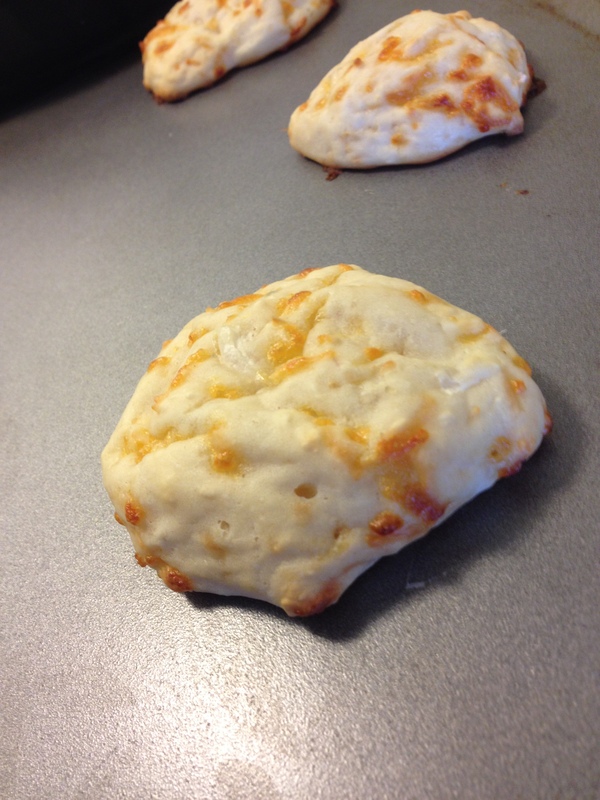 If you have extra bacon grease – pour a little in to your biscuit mixture to add flavor. -Add a healthy pour of maple syrup. -Crumble up bacon into little bits – more than you think you’d need. -Pour in as much feta as you’d like. Feta is great because as it cooks in the biscuits, it creates little air pockets that are delicious when you eat them! -Add chopped little green onions. -Add a handful of cheddar cheese, too, if you’d like. -Add in a little oregano, garlic powder and fresh basil. Then, drop the mixture onto baking pans or cookie sheets – I use two spoons and drop as much mixture as I would cookie dough. Bake at 400 for 10-12 minutes. We don’t choose our diseases. Many diseases out there today have incredible arenas and support and awareness. In today’s world, we are fighting cancer, heart disease, autism, multiple sclerosis, PTSD, food allergies, and a host of other diseases and conditions. You have probably attended a walk to raise awareness, or supported a loved one who has suffered from a well-known condition. It’s wonderful that we are able to support one another and rally behind these causes to help our loved ones and ourselves who endure through these diseases and conditions. It’s great, in some ways, that we are able to identify with a cause in a positive way. The thing that we sometimes forget is that we don’t choose our diseases. When we are diagnosed with something, we often become more knowledgeable about it (as do our families and friends) and in some ways we take that diagnosis and incorporate it into our identity. We attend rallies and we find support in others who share similar diagnoses and experiences. It’s a positive way to cope by sharing the experience with others and join in supporting a cause. That being said, I have food allergies. I am not food allergies. The danger in taking on aspects of a diagnosis as our own is that it could become integral to our identity, for better or for worse. It’s a quick jump to go from accepting something with a positive attitude and becoming that thing. When I work with a client who has mental health issues, I like to share the diagnosis with him or her. When we refer to our clients, we do not say “the bipolar woman” or “the paranoid schizophrenic man” – we say “my client with bipolar disorder” or “the man with paranoid schizophrenia.” Similarly, some hospital systems have adopted approaches of referring to patients as “the patient with appendicitis” rather than “the appendicitis in room 23B.” Before those clients or patients came into the healthcare system, they were known for being a mother, or a businessman, or a beloved member of the church choir. They did not choose to have appendicitis or bipolar disorder, and it may not be the part of themselves they wish to share with the world. Similarly, I did not choose to have food allergies, and the woman at the walk for autism did not choose for her son to have autism. When I make special requests of friends, family members or co-workers, the food allergies become a part of me. But I take comfort when that friend or family member treats the request as a part of my medical necessity, rather than a personal preference. I did not choose this condition. I choose how I handle it, and am constantly taking in feedback and new situations that teach me the best way to share my life with others with the least amount of burden. I have taken on aspects of food allergies into my own identity, as it has helped me to cope with it (clearly, I’m writing a blog about it!). But I did not choose food allergies. I am a writer, a mental health counselor, an aunt and a daughter. I am a cook and an individual living with a chronic disease. I attend events and support groups for food allergies, and they are a part of me. And I am not food allergies.